Guided tours of the building are available weekdays, 9 am-3 pm; and Sat., 10:15 am, 11 am, noon, and 1 pm. Closed during some holidays, call ahead. Visit the web site for a self-guided tour brochure or to schedule a group tour. 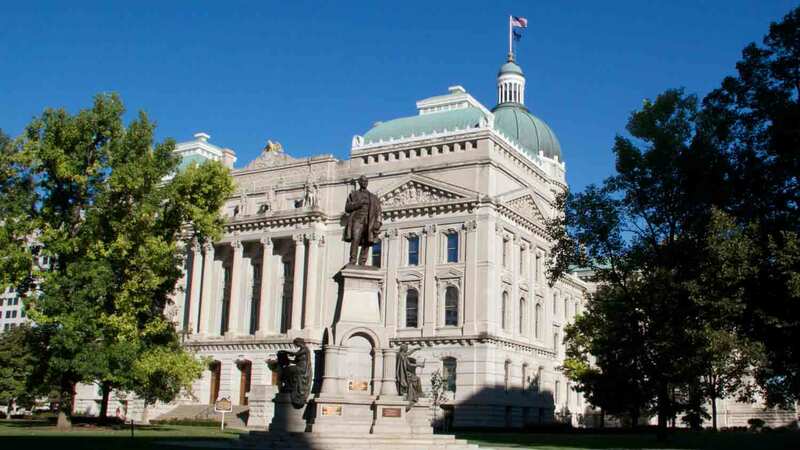 Serving as the center of civic life in Indiana since 1888, the Indiana Statehouse is an outstanding architectural beauty and is constructed of Indiana-sourced oak and limestone. Tours are available of this four-story home of the Indiana House of Representatives, Indiana State Senate, Indiana Supreme Court, and Indiana Courts of Appeals.